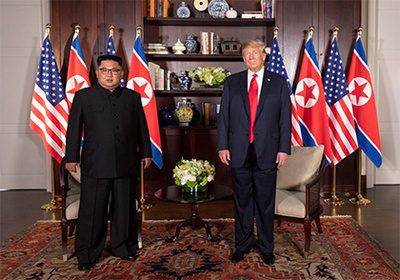 The summit meeting in Singapore on 12 June of President Donald Trump of the United States and Kim Jong-un, Chairman of the State Affairs Commission of the Democratic People's Republic of Korea (DPRK) was a highly significant meeting, facilitated by a good number of diplomatic efforts, in particular that of Moon Jae-in, President of South Korea as well as diplomats from the People's Republic of China. There were also active non-governmental initiatives from groups in South Korea, the USA and Japan to encourage such a summit to reduce tensions on the Korean Peninsula. In the past, there have been a series of dangerous crises concerning the two Korean States. There are always dangers of miscalculations and unnecessary escalation of threats. The Summit produced a framework agreement for the ultimate denuclearization of the Korean Peninsula - thus the end of the nuclear weapon capacity of North Korea and the withdrawal of US nuclear weapons from South Korea. In the meantime, there would be a freeze on North Korean nuclear-weapon activity and a suspension of US-South Korean military exercises which the North Korean government has always considered "provocative" and as a rehearsal of an attack. In addition, there would be other confidence-building measures. A non-aggression pact or a strong non-aggression statement by the US has been mentioned. Other tension-reducing measures would be an increase of separated-family meetings, cultural exchanges, and perhaps a revival of joint North-South Korean economic undertakings. Thus, there has been a definite change in the "atmosphere" from the earlier saber-rattling. However, there is still a long-way to go, and non-governmental organizations have a role to play in building on the Summit momentum. 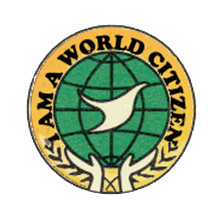 In 2013, the Association of World Citizens had proposed in a message to then United Nations Secretary-General Ban Ki-moon that there be a UN-sponsored Korean Peace Settlement Conference now that all States which participated in the 1950-1953 Korean War were members of the United Nations. 2013 was the 60th anniversary of the 1953 Armistice and thus would have a symbolic significance. The time was not yet "ripe" in 2013. Today a peace treaty rather than the armistice could create a strong framework for cooperation. Since the 1950-1953 war was not only the war of the most active troops but of the United Nations as a whole, world citizens believe that it should be a UN Peace Settlement Conference, not only of government representatives but a peace conference in which the voices of civil society are legitimate and should be heard.